The Kate Moss Idol Eyes collection for Rimmel has just landed on ASOS.com. It features a gorgeous emerald green gel eyeliner, four eyeshadow crayons, four mascaras and five new shades of my favourite Lasting Finish by Kate lipsticks. See swatches on Really Ree and here. 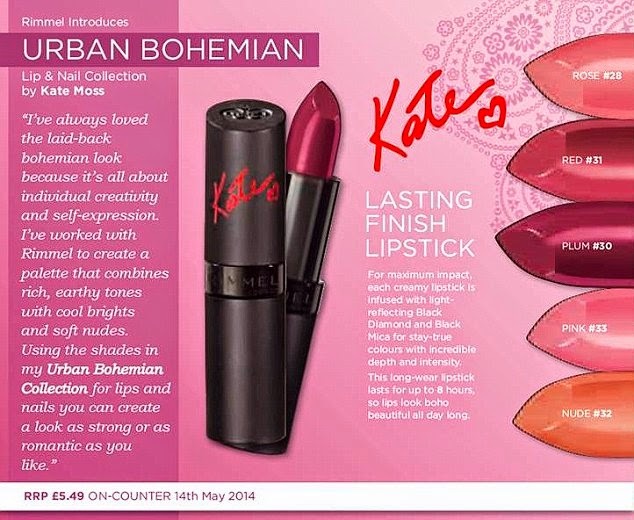 The lipstick shades released in the UK are 28, 30, 31, 32 and 33. 29, a deep magenta, is listed on the Rimmel France website so hopefully it will be available in Monoprix. I have seen this collection and its really interesting. It has great colors that's indeed worth the try.